Here is what I think about risotto: A good risotto should be creamy, but not soupy. The rice should be tender, but not mushy. Its accompanying ingredients should be minimal without overwhelming and reflect the season. 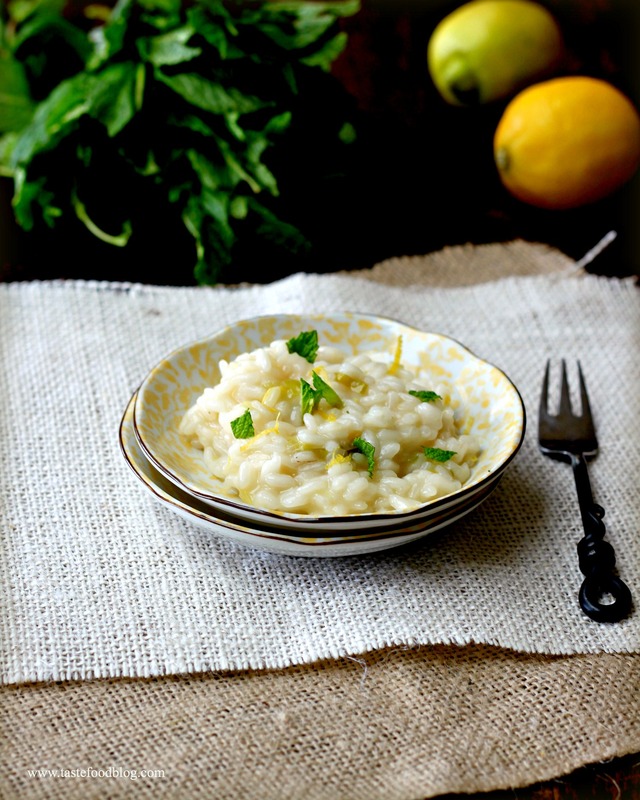 This recipe for Lemon Risotto with Mint is firmly planted in spring. Redolent with lemon and mint, the puckery citrus cuts the inherent creaminess of the risotto, while flecks of fresh mint add freshness and aroma. I like to serve small plates of this as an elegant first course to a nice meal. Bring stock to a simmer in a medium saucepan. Reduce heat to lowest setting and keep warm. Heat 1 tablespoon butter and oil in a deep skillet or pot over medium heat. Add onion and sauté until softened without coloring, 2 minutes. Add rice and stir to coat. Add wine. Cook, stirring, until the wine evaporates. Add stock 1 cup at a time, stirring until nearly all of the liquid is absorbed before adding the next cup. Continue until the rice is tender but not mushy. Remove pan from the heat. Stir in 1 tablespoon butter, 1/2 cup cheese, lemon juice and lemon zest. Add 2 tablespoons mint leaves. Serve immediately in bowls garnished with extra cheese, zest and mint. I have an opinion about risotto. A good risotto should be creamy, but not soupy. The rice should be tender, but not mushy. The ingredients should be minimal without overwhelming. 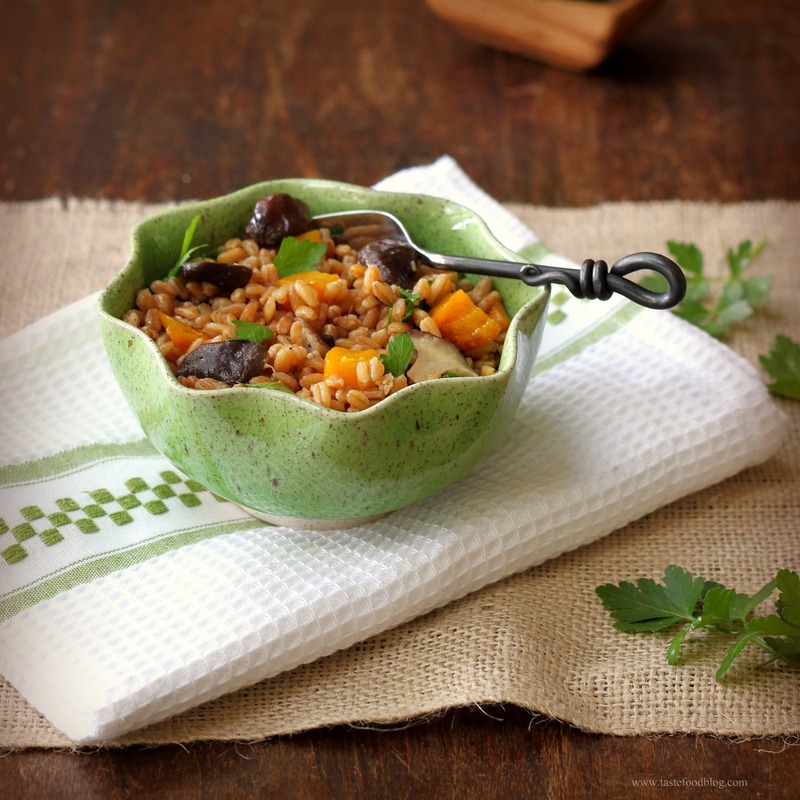 My ideal risotto reflects the season, and elegantly plays a role in a meal as a first course or side to a main. 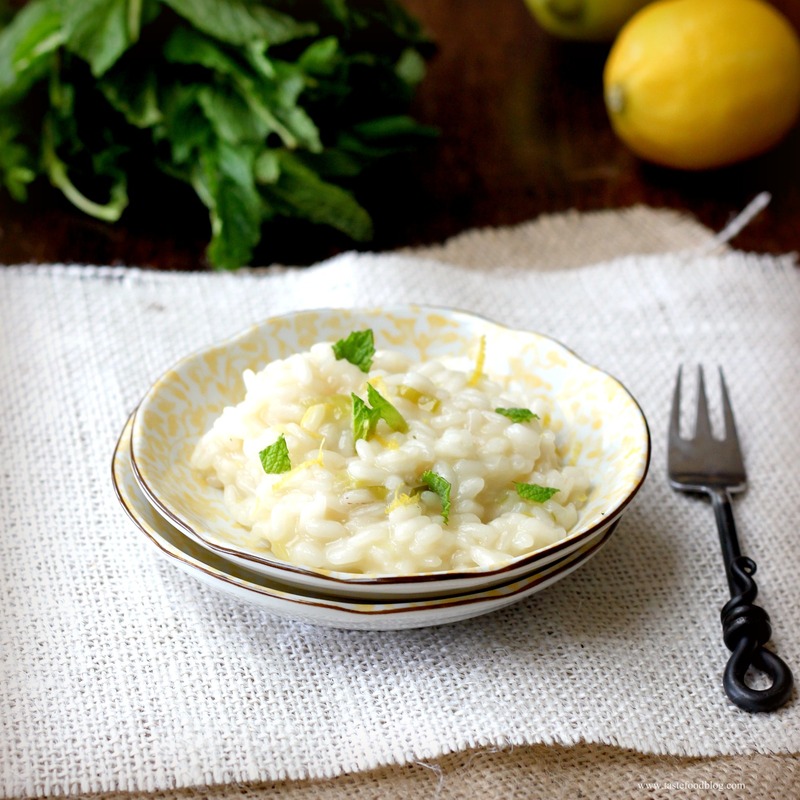 Lemon Risotto with Mint accomplishes all of this. It’s planted firmly in spring, redolent with lemon and fresh mint. It’s not too heavy, but creamy and rich enough to keep you coming back for more. Bring stock to a simmer. Reduce heat to lowest setting and keep warm. Heat 1 tablespoon butter and oil in a deep skillet or pot over medium heat. Add onion and sauté until softened, 2 minutes. Add rice and stir to coat. Add wine. Cook, stirring, until the wine evaporates. Add stock 1 cup at a time, stirring until nearly all of the liquid is absorbed before adding the next cup. Continue until the rice is tender but not mushy. Remove pan from the heat. Stir in 1 tablespoon butter, 1/2 cup parmesan cheese, lemon juice and lemon zest. Add mint leaves and serve immediately in bowls garnished with extra cheese, lemon zest and mint.